I’m unpacking my suitcase in a downtown hotel with Canada’s late-night comedy show 22 Minutes as my soundtrack. The joker it transpires, is Brian Gallant, the province’s darling governing premier whose punchlines are slowly converting the masses. It seems they’re even trying stand-up routines to put the province on the map. New Brunswick is to many, the drive-thru province – a pitstop for New Englanders and Canadians to fuel up on Tim Hortons and gasoline before summering onwards in Nova Scotia and Prince Edward Island. But its 70,000 square kilometres (an area the size of Ireland) remain very much a tourist-free wilderness of seaboards, forests and, as Canada’s only bilingual province, culture. That’s why I’m exiting the mighty Trans-Canada highway, to discover the joys of New Brunswick – from coast to côte. My journey begins northwards along New Brunswick’s eastern fringe and the province’s postcard Acadian coast. A one-time colony of New France, today Acadia is Canada’s renaissance region, a place where nationalist airs and vibrant francophone tradition run deeper than the Saint Lawrence river. And it’s clear to see. Driving through its rural townships, properties are festooned in flags of bleu, blanc and rouge; identical to the French tricolour – but with a fitting star of the sea. But, this isn’t France. Nor is it neighbouring Quebec. “We’re not the same as Quebecers,” asserts a waitress at La Caraquette diner. “We’re Acadians… even our French is different!” She’s referring to Chiac – New Brunswick’s vernacular brogue, which curiously combines 18th-century French and modern Canadian English. And it’s succeeding to meld the often fraught linguistic divides within the province, as a diner on the forecourt soon testifies. “Ej vas tanker mon truck!” he announces to his mate, before chugging a GMC off to the nearest pump. Acadia itself makes for dreamy coasteering, with no-filter beaches and perfectly photogenic lighthouses en route. Grande-Anse, where New Brunswick reaches its northernmost outpost, is the region’s showiest. Here, where seascapes collide across to Quebec, there’s a raw, untouched air to the land and, with its restless coasts and dramatic cliffs, more than just a soupçon of the Wild Atlantic Way. Tracking inland, the ocean breeze is replaced by a pine-infused potpourri of New Brunswick’s logging country. 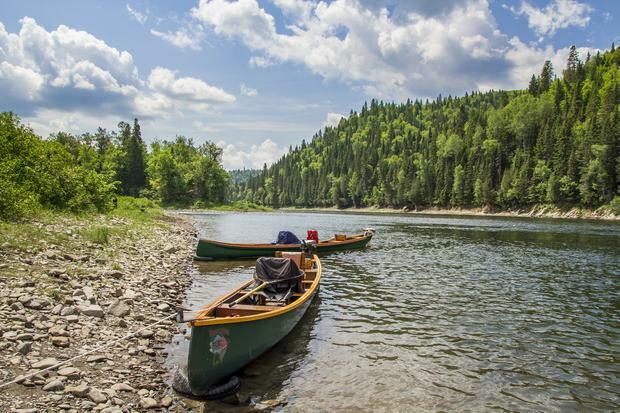 Here, my GPS is set to Chalets Restigouche, a remote wilderness campground squirreled deep in the thick forests of Kedgewick County. With a parking lot of RVS, SUVS & ATVS, the site clearly caters to Canada’s outdoors set. I hunker down for the night in one of their rustic lodges: beaver cabin. It’s backwoods living at its best, and I’m soon reclined on a maple-canopied porch with rations of Canadian wine and woodpecker song. I guess you’d call this the Acadian dream. That, I do. Directed to a roadway that looks like it leads to nowhere, I head off into the dusk: dipped lights, windows down, Acadian country music radio abruptly muted. The initial mileage reveals little but a skunk hightailing across our path – but nature almost always rewards patience. And, after mounting the umpteenth cusp in the endless dirt-track, a yearling bull moose grinds us to a halt. There’s a primal buzz to witnessing any animal in nature; even more so when it’s a self-chartered encounter. 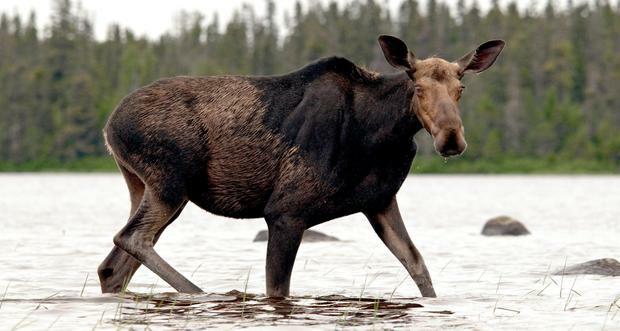 But moose aren’t known for their smarts – nor their predictability, so we’re content to watch him watch us, before he lumbers off into the thickets and the wilds. It’s hunting season soon. Bonne chance, buddy. From Acadia, I journey south to St Andrews By-the-Sea, Canada’s oldest vacation resort whose border ripples alongside the US state of Maine. 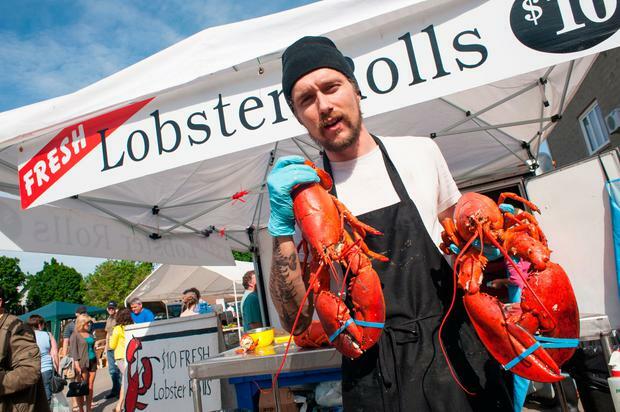 And just like neighbouring New England, Saint Andrews is an Atlantic ode to cottage culture with a streetscape canvas of galleries and inns, quirky lobster shacks and coffee shoppes. Saint Andrews is most famous for the Bay of Fundy – an epic natural wonder which experiences the highest tidal changes in the world. 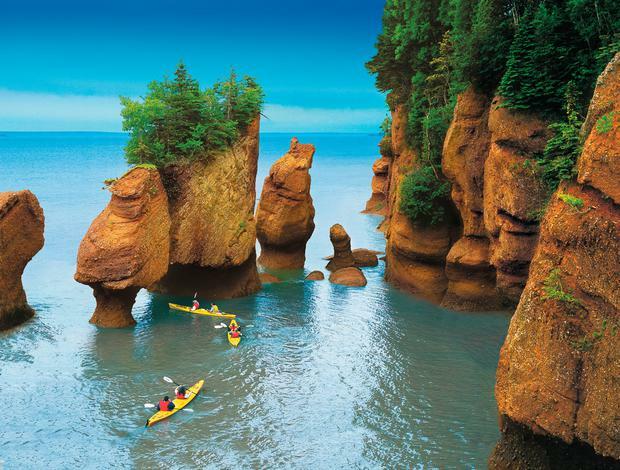 It’s best witnessed at the Hopewell Rocks – giant sandstone sea-stacks gulped by the seas each day, drawing thousands of kayaking Instagrammers per annum. Impressive, oui. But wildlife are the bay’s true star attraction. 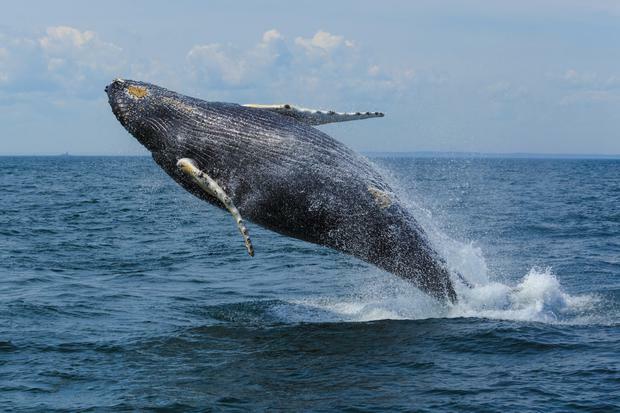 Despite the modern-day threats of plastics and fishing nets, the Bay of Fundy remains a haven for marine life and hosts a buoyant eco-tourism scene to boot. Harbour seals, porpoises and a mighty congress of bald eagles soon hit my camera roll, but before that, I’m life-vesting up with local operator Fundy Tide Runners (fundytiderunners.com; $70/€45) in search of their most awe-striking residents, humpback whales. Come high tide, we jet across the mirror-glass waters into the blue, our crew of marine biologists following strict observation guidelines (like 100m distance buffers) all the while. That’s not to say the whales adhere to that same yardstick. It’s not long before one, then two, then a pod of humpbacks buttress our vessel, spraying rainbows, bow-tailing and breaching around us with cymbal-crashing orchestration. It’s the perfect montage to end my week. New Brunswick’s Acadian Village (villagehistoriqueacadian.com; €13), is the largest folk town in Canada. It’s like being on the set of Dr Quinn Medicine Woman, en francais. Mount Carleton Provincial Park is a gift for nature lovers – all-level hiking options culminate in the 800m peak of Mount Carleton itself, with views of 10m trees. parcsnbparks.ca; €7. Fancy a Sunday drive across the sea floor? Ministers Island, near Saint Andrews, is home to an historic summer estate only accessible at low tide. ministersisland.net; €10. Canadian low-fare airline WestJet (westjet.com) begins a direct seasonal service from Dublin to Halifax, Nova Scotia from April (from €350 return). On the ground, it’s a two-hour onward drive to New Brunswick; Thomas travelled with Avis (avis.ie) who offer economy car hire rates from under €30 per day. 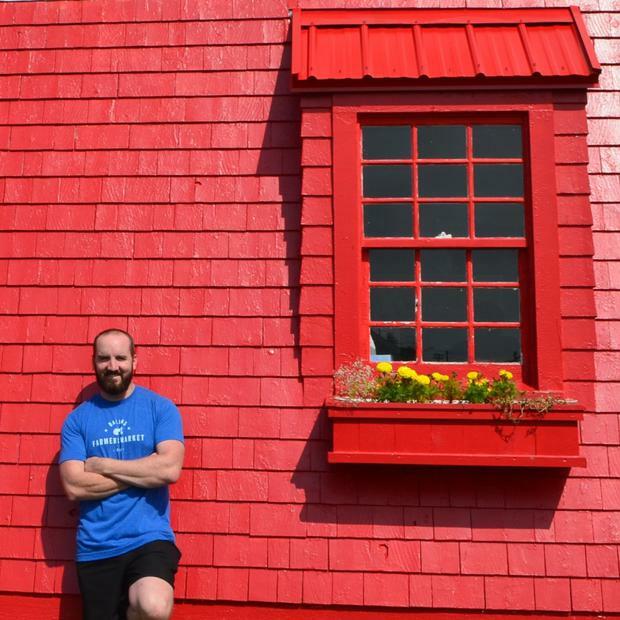 Thomas travelled as a guest of Tourism New Brunswick. See tourismnewbrunswick.ca for more info.